The Ministry of Industry and Trade’s (MoIT) Circular No.02/2019/TT-BCT, which took effect in late February 2019, provides a revised model power purchase agreement applicable to grid-connected wind power projects in Vietnam. Vaibhav Saxena, lawyer at Vietnam International Law Firm, provides a deep analysis about its possible impacts on investors and remaining barriers. Circular 02 regulating the implementation of wind power project development and model power purchase agreement (Model PPA) for wind power projects makes substantial revisions, including both improvements in certain aspects and stricter requirements in others. The new circular has repealed Circular No.32/2012/TT-BCT regulating the implementation of wind power project development and power purchase and sale contract form for wind power projects and Circular No.06/2013/TT-BCT on the content, order, procedures for formulation, appraising, and approving wind power development. Under Circular 02, an investor is only permitted to prepare the feasibility study for a wind power project which is included in an approved power master plan (either for power generally or specifically for wind power projects). If not, the investor will need to apply for the inclusion of the project in the relevant master plan before they could prepare the feasibility study for the project. Additionally, Circular 02 has provided procedures to sign the Model PPA. The new provision is favourable for the investor as the buyer must review and sign the Model PPA within 15 days. However, it may be difficult to implement this regulation in practice. The Model PPA shall be applied compulsorily. The parties may supplement the Model PPA to clarify the rights and obligations of the parties, but may not change the basic contents of the Model PPA. Under the Model PPA, the FiT is an amount in Vietnamese Dong (VND) equivalent to US cents 8.5/kWh (exclusive of VAT) for onshore wind farms and US cents 9.8/kWh (exclusive of VAT) for offshore wind farms. This FIT is only applicable to wind farm projects that achieve the Commercial Operation Date (COD) prior to November 1, 2021 and is applicable for a term of 20 years from the COD. The VND/USD exchange rate to be applied shall be US$1 = VND22,683 in accordance with the central exchange rate announced by the State Bank of Vietnam (SBV) on August 30, 2018. The FiT will be adjusted in accordance with the fluctuation of the VND/USD exchange rate. However, there is a lack of clarity on the determination period of such fluctuations in the FiT that flows from the fact that Vietnam is planning on issuing several policies to revamp its power sector to create a more advanced and systematic investment policy infrastructure. The denomination of FiT in USD and payment in VND may lead to a potential risk from the availability of USD in Vietnamese market for conversion by the seller (i.e. the project company or the investor). It should be noted that offshore remittance of USD is subject to strict requirements under the foreign exchange control regulations in Vietnam that could cause concerns for the lenders and may require investors’ support to cover such risks. 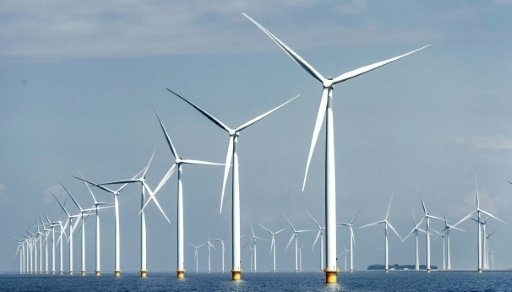 Otherwise, according to amendments under Decision No.39/2018/QD-TTg, the FiT shall be calculated separately for the output of onshore and offshore turbines. However, such bifurcation of FiT shall be challenging for the investor to manage where all systems of a single project are interconnected. In practice, calculations by the authorities to examine the applicability of the FiT shall be a tough task. It may require prolonged negotiation between the investor and the authorities and may complicate the billing. In the circumstances where the wind power projects include both onshore and offshore turbines, the buyer and the seller shall agree on how to install the meter and measure the generation capacities of onshore and offshore turbines separately. However, clear and specific guidelines to distinguish between onshore and offshore metering will be required otherwise it may pose issues to the investors, where on the other hand there is no remedy if the buyer refuses to agree with the seller or tries to impose its decision on the seller. The wind power plants that have been put into operation to generate power prior to November 1, 2018 shall be entitled to re-sign the Model PPA with the new terms in accordance with the Model PPA from November 1, 2018 to the end of the remaining term of their existing signed power purchase agreement. Under the Model PPA, EVN – or its authorised subsidiary or a successor that takes over all rights and obligations of EVN in accordance with the laws acting as the power purchaser – has the responsibility to off-take the entire electricity output generated to the grid by the relevant solar power project. The Model PPA provides for a term of 20 years from the COD which can be extended or a new contract can be signed between the parties in accordance with the then-effective laws. The seller must provide the buyer with a notice on payment along with an application for payment prior to the fifth day of the month. Upon the receipt of these documents, the buyer shall check the application for payment within five working days and inform the seller if there is any omission or error. Accordingly, the seller shall send the buyer an invoice for electricity sold and purchased and the buyer must pay the seller within 25 working days from the receipt of such invoice. In case the buyer fails to make payment within the specified time limit, it shall bear late payment interest. The Model PPA provides for the mandatory choice of Vietnamese law as the governing law. In case of a dispute, the Model PPA requires the parties to settle it by amicable negotiation first within 60 days from the date of receipt of notice from the disputing party and 15 days if the dispute relates to payment of tariff. If the negotiation fails, the parties may elect the Electricity and Renewable Energy Authority (ERAV) under the MoIT for conciliation and dispute resolution or go to a dispute resolution body in accordance with the laws of Vietnam, which would effectively mean the courts of Vietnam, unless a specific arbitration clause is included. The Model PPA provides that the seller will be considered as having committed a breach of the PPA if the COD does not occur within three months after the scheduled date for COD, unless it is caused by a force majeure (FM) event. The Model PPA has not addressed the scenarios where the power plant is available for testing and commissioning for COD but the seller could not proceed due to a breach by the buyer or an event affecting or attributable to the buyer. Under the Model PPA, the seller is responsible for grid connection costs and risks, including investing in, operating, and maintaining interconnection equipment and facilities in order to connect the plant with the power transmission and power distribution grids. The Model PPA has not addressed the scenarios where the power plant is prevented from generating electricity due to unavailability or other risks concerning the grid. The Model PPA has not addressed the scenarios where the incidents in (b), (c) or (d) are caused due to a breach by the purchaser or an event affecting or attributable to the purchaser. FM events are defined as an event occurred objectively that cannot be foreseen and overcome despite the application of necessary measures and ability to mitigate such event. The Model PPA does not distinguish political FM events and natural FM events. The risk-bearing is vested upon the seller in this case that impact the lenders’ as well and the investor could support shall be crucial. The Model PPA does not specifically address changes in legal circumstances that lead to uncertainty. Under the Model PPA, the party that breaches the contract is obligated to pay compensation for the value of actual losses, being direct losses which the party affected must bear and caused by the party in breach and the value of direct benefits which the party affected would have received except for the breach… However, the Model PPA has not provided specifically for termination payments in the event of early termination of the Model PPA. *Vaibhav Saxena is a legal consultant at Vietnam International Law Firm (VILAF).